Why is this read still on my mind? 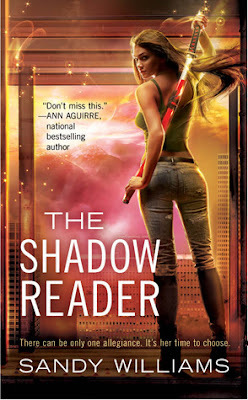 I read The Shadow Reader back in 2013 and it was my 4th favorite book read that year,it was such an amazing read from start to finish. It had in depth characters, a love triangle that was done well and had me loving both of the love interests, there was action, betrayal, comedy, and most importantly it had a main character that was very strong, yet never afraid to be vulnerable. This is one of those books that I loved so much that I actually haven't read book 2 or 3 🙈 Sometimes when I love a book so much, it takes myself years to pick up the 2nd book because I don't want it to ruin what a great experience I had in book one.